Stunning PVC Shell Scheme Graphics, made to fit exhibition shell scheme panels. Easy to install using velcro strips or double sided tape, these graphics can be easily removed and re-used. 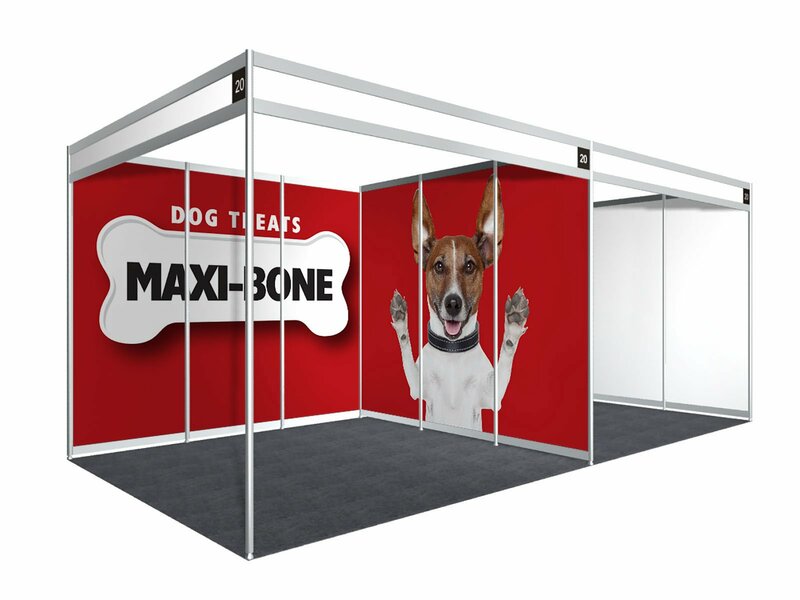 Printed onto a high quality flexible PVC material at high-resolution using eco-friendly latex inks, supplied rolled up for easy transportation between events. Easy to clean with a damp cloth so you can keep them looking pristine from event to event. This is our lowest cost solution for Shell Scheme Graphics.